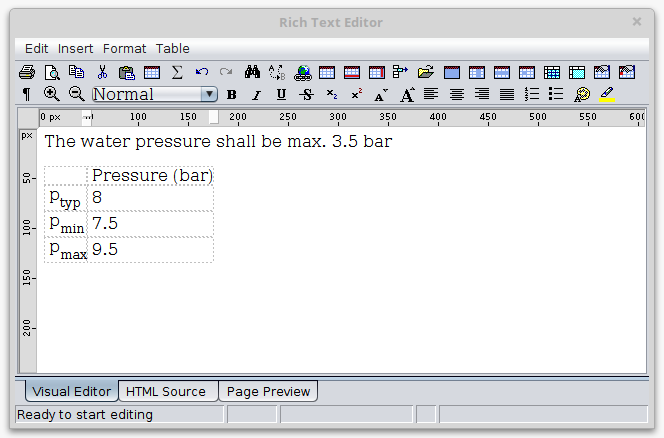 ReqIF Studio ships with a powerful text editor for formatted text, and this editor is good enough for most applications. But sometimes, you just need more. 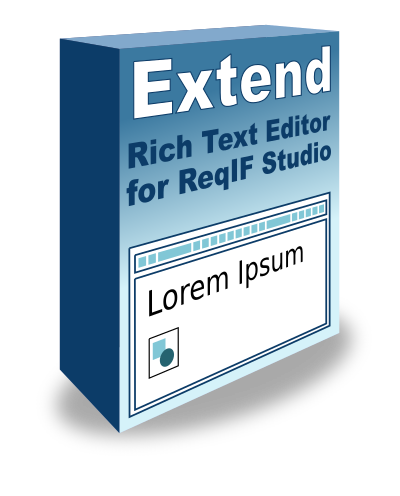 Extend is the alternative Rich Text Editor that is guaranteed to run on all platforms, supports tables and embedded objects, and much more. The Situation: ReqIF Studio ships with a Rich Text Formatting Editor (RTF) that is great for getting started, and powerful enough for most applications. Most users are content with RTF. But sometimes, power users demand a little more. This is why we created Extend, a rich text editor that goes the extra mile. RTF shows embedded objects, but does not allow to modify them in a ReqIF conform manner. Extend contains a dedicated dialog for handling embedded objects. This editor not only allows the ReqIF-conform handling of embedded objects, but is also compliant with the recommendations of the ProStep ReqIF Implementor Forum. 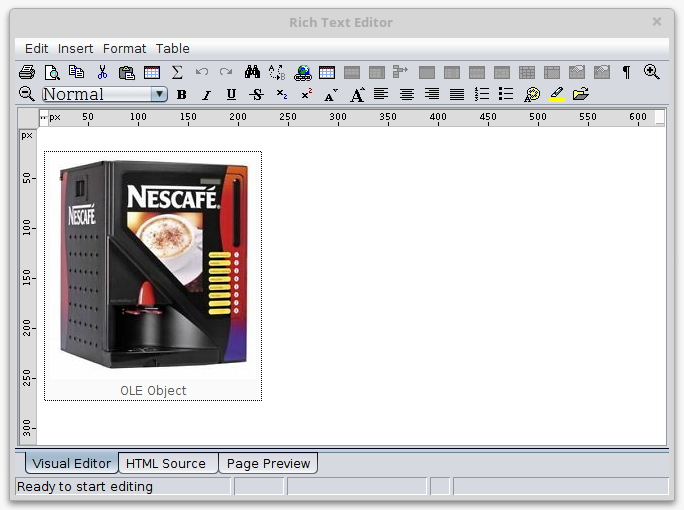 Our current RTF editor uses a technology called Java FX, which is only available with Java 7 and up from Oracle. But even if available, Java FX has some problems on some computers. Extend is 100% native Java code, which means that it runs on Java 6 and up, even if it is not from Oracle. More features in the toolbar, like Superscript, Subscript, etc. Special billing requirements? No problem, send us a message if you need to pay via purchase order and invoice.